SuperCoachTalk – Page 854 – The original and the best. Your #1 resource for daily AFL SuperCoach tips and analysis. Right, so I’m a little late this week so this will again be short, sharp and to the point. L Hodge ($453,700, 83.75) – one game back and a 97 proves he’s good to go. Cheap at this price too. C Newman ($502,400, 101.55) – rarely scores under 100 and won’t chew through your hard earned. C Enright ($453,900, 92.18) – this recommendation is for you, Agers. I’d like to see more tons from him though. Don’t even start me on how much i hate split rounds of footy, but here’s the teams that are playing this weekend. The list is long …. but thankfully for me there’s not a whole heap that appear in my team. Will be an interesting week of trades ahead i’m sure. 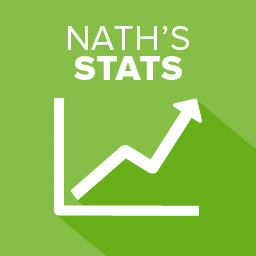 Follow all the SuperCoach scores as they get updated after each quarter. Here`s the first cut from Thursday afternoon`s lists. Guess things will change a little heading into tomorrow but now a great deal one would suggest. OK, time for me to start perusing for my options to replace The Chad. Haven’t got a lot of time on my hands this week so I’m putting all positions in the one post. Xavier Ellis ($392,100, 78.33) – this Top 10 draft pick had his average seriously skewed by the game against the Roos when he broke his foot (he scored 26). The other 2 games he’s played he’s scored 95 and 135. Do yourself a favour. Jed Adcock ($413,200, 85.60) – has scored 113 and 106 in his last 2 rounds showing he’s back to form.